This is the homepage of Dr. Jiwon Kim at the University of Queensland. Jiwon Kim is Lecturer in Transport Engineering in the School of Civil Engineering. She joined UQ in 2014 after completing her PhD research at Northwestern University. Her doctoral work was on the travel time reliability of transportation networks. Prior to joining Northwestern, she worked as an assistant manager at Samsung C&T (Engineering & Construction Group). She received Bachelor’s and Master’s degrees in civil engineering from Korea University. Dr. Kim’s research is broadly in the area of modeling and analysis of intelligent transport systems (ITS) and human mobility, with an emphasis on the analysis of vehicle trajectories in large-scale traffic networks and predictive analytics for real-time traffic management and operations. 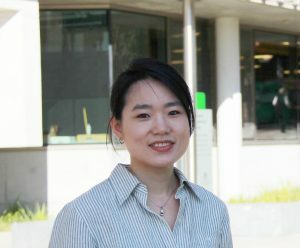 Her current research focuses on urban mobility analytics, interdisciplinary research that discovers patterns and insights from massive collections of movement data (e.g., GPS trajectories, public transport smart card data, Bluetooth and WiFi data) using data mining and machine learning algorithms and develops solutions to transport-related challenges in our cities.